I wish to tell you a story. A story of our people. God’s people. 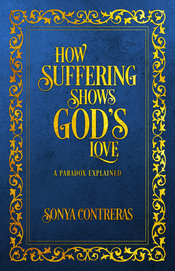 Why is there such a thing as God’s special people? 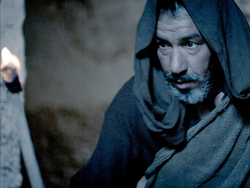 Because of His great mercy, He chose Abraham. 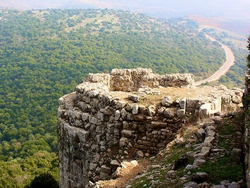 Seeking to obey, Abraham followed God’s command, going to a land God showed him. Abraham’s descendants, now live in. Even when we left our land because of famine, God returned us back to our land. We took back our land, conquering evil. But we allowed some evil to remain. It turned our hearts away from God. We forgot Him. The evil became a part of us. God gave us the Law to draw our hearts to Him and to help us govern ourselves as a community. It taught us to care for our neighbors and our land. But other nations had kings. We thought we needed one, too. So we begged God for a king. And He gave us one. We wouldn’t go back to that community existence. The kings levied taxes, not for our betterment, but for their own. We were at the king’s mercy, whether he was good or bad. He made alliances with other countries, even after God forbade them. Our land was divided into two kingdoms. 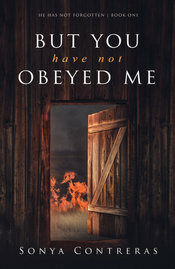 Both kingdoms disobeyed God’s Law, which promised blessings only for obedience. Because we forgot God and didn’t listen to the prophets, we were taken as slaves to other lands. But God, in His mercy, brought us back. He helped us build the destroyed walls under Nehemiah. 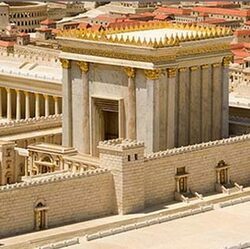 He enabled us to rebuild the temple under Ezra. We wished for the glories of King Solomon, but they had come at great price to our people. We couldn’t afford it again. It has been over 400 years since we last heard any word from God. 400 years of silence. The words last spoken were from prophets telling doom. Now, a new evil from the west threatens all we are and have. Even Solomon’s great taxes couldn’t compare to the taxes we must now pay. We pay 10% to the Temple for sacrifices and incense, 10% to the tribe of Levites to support them as our brothers who should point us to God. But they don’t point us to God. 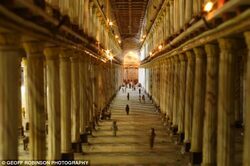 One member of the Sanhedrin used our money to carpet the road from his house to the Temple so his wife could walk on it to the services. Such extravagance makes it hard for us to want to pay the Levites, but if we don’t, we’ll be excommunicated from the Temple. No sacrifices would cover our sins. Nor would we be accepted by the community. We are trapped. These taxes also create an upper class of Sadducees. Only 1-2% of our people lived like these men, yet they possessed half of our land’s wealth. They reject many of our traditions to cooperate with the Romans. Do they forget who gives them their money? Another 5-7% of our people compete for their wealth and act like one of the wealthy. The middle class, 15% of us, include the Pharisees, scribes, teachers, and other religious rulers. Tradesmen, craftsmen, and merchants are also here, as well as, doctors and shop keepers, although they are notorious for their dishonesty. Other trades, like tanners, are repugnant trades because of the smells of their work. Anyone who works with women, since they’re equal to servants, lowers their trade to objectionable, because of the immorality that follows. The rest of the people: weavers, stone carriers, laborers, indentured farmers, fishermen, servants and slaves—more than 70% of our people—live in poverty. This includes those who can’t work, like the cripple, blind, and lepers. Then the Romans add their taxes. Rome having conquered the world, no longer burdens their own people living in their capital with taxes. They take from all the conquered people. That’d be us. Their 1% annual income tax didn’t seem so bad at first, until they added their import and export tax, crop taxes (for grain, wine, fruit, olive oil), sales tax, property tax, and emergency tax. They said they needed it for roads, law and order, security, religious freedom, and a certain amount for self-government. Governors, especially our current one, Herod, increase taxes for their own depraved living. Herod maintains his own body guards in addition to Rome’s army. He has also rebuilt the temple, monuments, and statutes—all at great cost to our people. By the time all the taxes are added, Rome takes more than 30% of what we earn. That leaves us with less than 50% of what we make to live on. Who can survive on that? Rome believes in the principle: divide and conquer. They divided our land into five regions. But they couldn’t conquer our spirit. Until they started taking our land. Dividing their conquered lands into providences enables them to collect taxes from communities. But now, Rome has found that charging individual taxes pays greater rewards than a community tax. Through better roads and divided lands, they now have the means to make a census possible. They can enforce the individual tax. Auctions over who would collect these taxes went to the highest bidder. 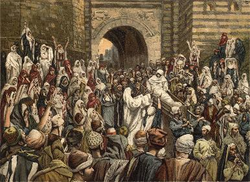 They have a hierarchy: chief collectors, like Zacchaeus, better known as “The Tree Climber,” would have tax collectors like Matthew, the disciple, working under him. At each level, extra money is taken for their own use. In our own land, these tax collectors are often Jews. Exercising a contract with another Jew is considered by many as evil. And doing it for the evil Rome is worse. We hate the tax collectors and we hate Rome. What traitors! Worse than prostitutes and sinners! These publicans, as they’re called, also became our bankers, loaning to those of us unable to pay our taxes for an overpriced 4% interest rate. Although we hate them, we need them. Solomon’s proverb “the servant is slave to the lender” couldn’t be truer than what our people feel toward these publicans. We couldn’t pay our taxes, so we borrowed from the value of our land, holding our lands as security. We were trapped. But when the rains didn’t come and our crops didn’t grow, our land was taken from us. Where can we go without land? We have no means to live. We’re not even able to grow our own food. We’re made slaves to do Rome’s bidding. And our land is now owned by a Roman or a Sadducee, who should be helping our community, instead of filling their own pockets with more wealth. We move to the city. We crowd into make-shift houses that any stray cookfire ember could ignite into a bonfire bigger than the fire of God that led us to our Land! 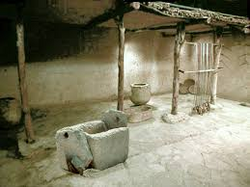 Working for Herod, we construct his elaborate buildings: monuments, stadiums, and palaces. We are slaves on our own land. Although Rome claims to give us religious freedom, our leaders cater to the Romans for added privileges. They have changed our traditions to provide greater rise in their positions. 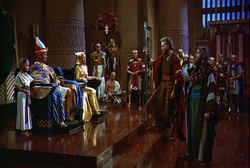 Our governor Herod appoints his own friends as priests in our Temple he built for himself. How can God be pleased? Our people are crushed under Rome’s heavy tax burden. Our people are despondent with our religious leaders who cater to Rome’s whims. Some of our people, Zealots, scheme to undermine Rome’s rule. They kill people favorable to Rome. And they don’t even do it discreetly. No, they kill in crowded streets, where our children are crushed under Rome’s army as they still the riot they’ve caused. Instead of helping us, the Zealots instigate mobs and kill our own people. Who is safe in our streets anymore? I’m a shepherd by trade. Since a shepherd is one of those smelly occupations, I’m disdained. But that’s fine with me. Wasn’t our great King David a shepherd once? When others are tormented by added taxes, I am left alone, for my sheep graze on the hillsides no rich man wants. 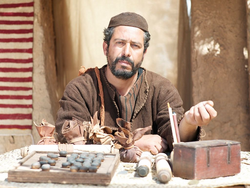 What could a poor shepherd have to fatten the tax collector’s pockets? People think I’m ignorant and don’t hear their political schemes and religious discussions. I have ears. 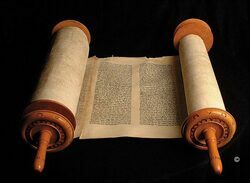 I quietly listen as the religious rulers talk behind columns of the temple on the Sabbath. We’ve brought the flocks close to the city for the winter months, when the rains will make the grass grow rich and our sheep give twins. I shrug. But what if they give twins? 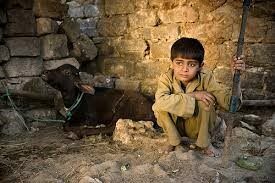 The money from selling my precious lambs will only fill the religious rulers’ pockets. Passover won’t be for another several months. I won’t have any payment until then. Maybe our barley will hold out. It will be a struggle. 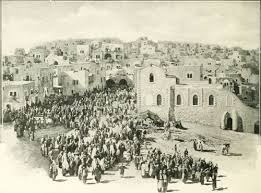 People have crowded into the city of Bethlehem. I’m glad to stay outside the city and watch. How can it even hold all those people? None look pleased to be traveling. A new census is required. More taxes. Just what we need! The days are short, darkness creeps over the hillside earlier each afternoon. When the darkness closes around me and I listen for harm to my flocks, I ponder what I’ve heard. It’s a time where last years’ harvest should feed our people. But there is no surplus. 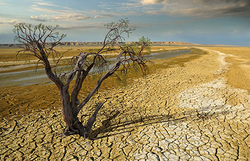 My people are starving, with little to eat and still less to hope for. The darkness of our lives couldn’t get any darker. There's no prophet even to promise us peace. Why hasn’t God sent someone to give our people hope? Without a wall, a city has no protection, no security, no provision for its own people. We are downcast, without hope. We have wept until we have no tears left to weep anymore. We live only to eat and rise again to serve Rome. Has He forgotten His people? I don’t have answers. Only questions. I use to ask the other shepherds, thinking to pass the long nights with discussions. But all grew weary of my questions that have no answers. I want to stop asking. But I can’t. I must know. 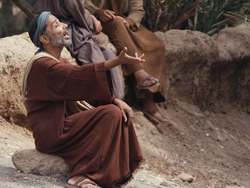 If God is no longer with His people, what should we do? I stretch my legs toward the fire for warmth. The night’s coolness creeps down the mountain to settle over me. 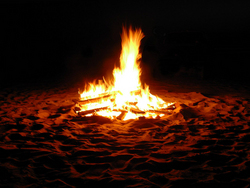 I toss more sheep dung on the fire before looking away to allow my eyes to adjust to the darkness. The sky is clear with many stars. It’ll be a cold night. I look once more at my flock before I put my hood on. My sheep have settled to graze. As my insides grumble, I pull my cloak more tightly around me. Not only a cold night, but a hungry one. But not so hungry that I can forget to call out to God for the answers He alone must have. Later in the night, when the night’s peacefulness should have settled over the flock, I again add more dung to my fire and circle my flock. They’re restless. I moved toward another shepherd. He feels it, too. He’s pacing between his fire and his sheep. I look across the hillside to other shepherds. All are standing, as if waiting for something. The air is still, quiet, waiting. I push my hood back, to better hear any movement. Suddenly, before me stood a man. His sword was drawn, as if he’d had to fight his way to come here. Although human in appearance, he had an unearthly glow about him. I fell on my face before him. I raised my head at his words. My questions had not fallen on a deaf god who couldn’t answer. God had heard our people’s cry. He had come! My mind raced through all the questions of how He would overthrow Rome. Soon I could feed my family and our people. We would be saved from Roman rule. The angel had said, “all people.” Would Rome fall? I gasped. Our Messiah, in a manger! That was a humble tool of my trade. I thought of King David. He started as a shepherd. God elevated him to King. 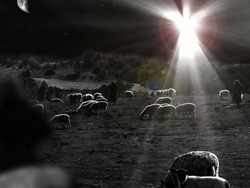 Now God had sent our Messiah and put Him in a manger meant to feed sheep and cattle. 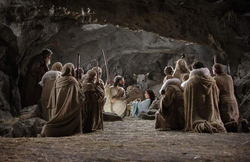 I felt a kinship to Him already, as if by being in a lowly manger, He knew our problems. He felt our hardship. Before I could think any more, the sky filled with a greater glow, as if the glory of God was chasing away the darkness of the night. Not only the night, but the darkness of evil and Rome and all my problems. I shielded my eyes with my arm so I wouldn’t miss anything. When I looked up, I saw not one angel but a host. Their numbers kept going, as if every angel from heaven had come to tell the news! They spoke of peace, but they held swords, as if they battled just to tell us the news. But they had promised us a Savior who would give our people peace. What would that do for our people? For me? When I looked up again from my thoughts, the angels were gone. But the glow still lingered. I surveyed my sheep. They had finally settled from their unrest. Had they sensed the coming of the heavenly visitors? Now they had begun to graze. With my staff, I lifted one lamb, known for its bent to wander, and carried it against my chest. I’d take this one with me. I would go and find the baby. The other shepherds gathered. We weren’t men who talked much, and tonight we had much to think about. We seemed like a motley group, dressed warmly against the cold and carrying our staves. Several others had brought lambs needing extra supervision or protection. We set out, almost running, in our excitement to see this great Visitor from God. As we reached the city, we wondered how we’d even enter the gates. They should be closed for the night. But as we came closer, we saw travelers still entering. I guess because of taxes, all would be welcome tonight. Each had to wait for the Roman official who would record their information and assign their tax. I held the lamb closer to my chest as we entered the throng. The strange smells and noises must have alarmed it, because it stopped struggling to get down and nestled deeper into my cloak for protection. Our group of shepherds was carried along with the crowded streets, even at this late hour. Many travelers weren’t sleeping in houses, but lay in the sides of streets. We were forced to walk down the center of the streets where refuse lay. 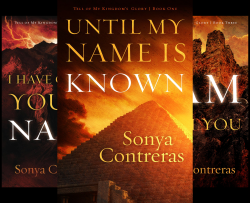 I tucked my nose in the front of my tunic to filter the air and tried not to feel what squished between my toes and under my sandals as I walked. They tell us shepherds stink! I longed for the open fields and the smell of my sheep. But more than that, I longed to have my questions answered. So I pushed on. When we finally broke away from the crowded streets, we found ourselves on a side street, more like a path between houses. After knocking on several doors and being met by blank stares and angry retorts to our questions, we realized no one else knew about our Savior. What kind of Savior would God send to this? And how could we find Him? Knowing we were close to our Savior but unable to find Him was almost worse than not knowing at all. I could sense the hopelessness creeping over the others. I stopped before knocking on another door and looked up at the sky. 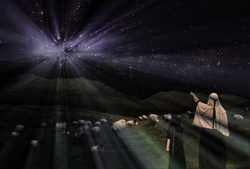 I had always used the sky as a guide when moving sheep over the mountains outside of Bethlehem. There were many box caverns and deserted trails that sheep wandered looking for another morsel of grass. I had always found my way back from finding the lost sheep by following the sun or the stars. This time, when I looked up, only a piece of the sky could be seen between the houses on either side of the path. But the sky glowed over a certain part of the city. It reminded me of the glow from the heavenly visitors. I walked toward the glow. The closer we came to the light; the less crowds were in the streets. We soon found ourselves alone. Our steps sounded almost comforting on the cobbled pavement after such noise and commotion on the other streets. There were no torches to guide our way; only the light from the glow in the sky. I could finally breathe, although the city smells were still strong. The glow hovered over the poorest section of town, where houses were constructed of castoffs from other buildings. We had come to a dead end with only one house remaining. The glow lingered in the sky. I looked at the other shepherds with me. They nodded for me to knock. 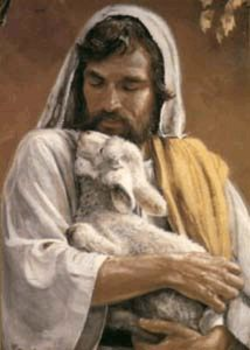 After adjusting the lamb in my arms, I knocked on the door. It seemed loud after the silence of the street. I nodded, quieting the desperation in my voice. Where would we go if he didn’t know? He wiped the sleep from his eyes and looked at us closer. “A baby?” He asked again, as if trying to clear sleep from his mind. “Yes.” I spoke clearly, willing my voice to remain calm. We followed a narrow path to the back of the house where a barn stood. I almost ran to it. I had forgotten in my haste to find Him, that the angels had told us we would find Him in a manger. My nose could have led us to the manger. I could smell the hay, sensed the resting donkey in the corner. The lamb I cradled in my arms poked its head out from my cloak. It must have sensed safety finally after the crowded streets. I put it down. It ran to where the donkey lay. But what held my attention was the man who knelt protectively over the manger. He looked up as we entered. His eyes held a question. The man smiled, and moved aside. I saw Him then. Our people’s hope. Our Savior. My knees gave way. 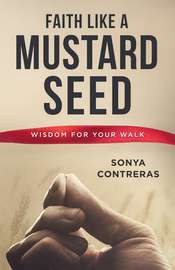 I fell to the dirt floor in worship. When I finally raised my head along with the other shepherds, the couple told us about their visits with the angels. They didn’t speak of their travels, but I could only imagine how the journey had been for this mother of the Savior. We never moved sheep when they were close to birthing. They need quiet, good pasture, calm waters and rest. Not that I compare women to sheep, but . . . 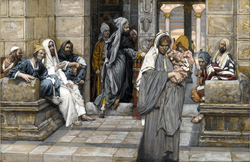 This mother of our Savior had traveled from Galilee to Bethlehem in labor. And without a female to assist her. She hadn’t spoken one word of complaint about her discomfort. She was well chosen for her task. She could barely take her eyes off her Child. She was radiant. The Savior had just come to earth, but already He was instilling hope in our people. Not by great crowds, but by individuals who would come to know that He was here. Time seemed to have wings that flew. I didn’t even think about my sheep. 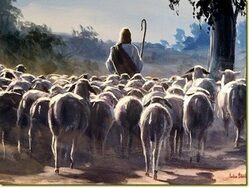 If God had sent hope to our people, He could watch my sheep for one night. When the sun could be seen peeking over the hills surrounding Bethlehem, we stood and stretched. We couldn’t stay here when the world needed to know. We left the barn. I glanced back one last time before leaving. I didn’t bring the lamb with me. It was a gift to my Savior. The poverty of the couple was evident. I don’t know where they would even find the money to pay their taxes. But perhaps some buyer could offer enough for the lamb to help. The other shepherds felt the same way. We left empty-handed, but our hearts were full. In fact, they were so full, that we shouted through the streets of Bethlehem that hope had come to our people. Our Savior had come. Not many listened to a herd of screaming shepherds. But we couldn’t hold the message inside us when the world needed to know. Some did remember the message, when the Savior would begin His ministry, and wondered if this Man was He. Our Savior had come. He is Christ the Lord. “The wages of sin is death.” Without God, all of us are without hope. But that’s why Jesus came. “The free gift of God is eternal life in Christ Jesus our Lord.” (Romans 6:23.) Not to show us how to live a good life, but to give us a hope. “For while we were still helpless, at the right time Christ died for the ungodly.” (Romans 5:6.) By His death, our sin could be forgiven. “But as many as received Him, to them He gave the right to become children of God, even to those who believe in His name.” (John 1:12) The hope is found in what Jesus did on the cross and what He does in the heart of you when you accept His work on the cross. That gives hope. Not just for today, but for forever. 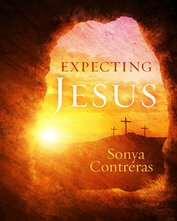 Other Christmas and Easter Stories are compiled in Expecting Jesus.